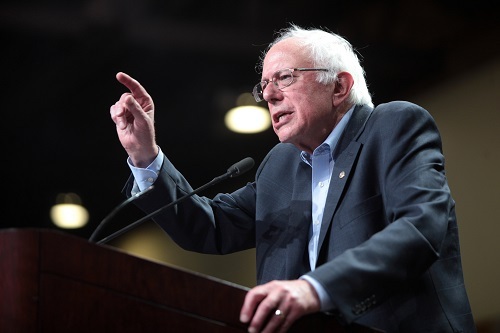 After video footage surfaced of Senator Bernie Sanders extolling the Soviet Union’s cultural and youth programs, the former prime minister of Sweden threw cold water on the idea that socialism builds sound societies. The tweet by Carl Bildt is the latest intervention by Nordic nations to divert the United States from adopting Marxist policies. As the 77-year-old Vermont senator announced his presidential ambitions, a string of videos emerged showing Sanders supporting Castro’s Cuba, Ortega’s Nicaragua, and the existence of breadlines. Among them was a clip showing Sanders and his wife, Jane, returning from their 1988 honeymoon … in the USSR. Another way of expressing this might be that a totalitarian state directed the full attention of the youth from birth, inserting itself between members of the family and encouraging children to inform on their parents. Into the fray entered Carl Bildt, the prime minister of Sweden from 1991 to 1994 and minister of foreign affairs from 2006 to 2014. Since the fall of the Berlin Wall, Sanders and others have replaced the Soviet Union, Cuba, and Nicaragua with “countries like Denmark, like Sweden and Norway” as putatively successful models of democratic socialism. Bildt, the former leader of the center-right Moderate Party, has a different perspective about his homeland. Bildt became the first non-socialist prime minister in six decades. Entrepreneurs had fled the nation, taxes consumed 60 percent of GDP, and the nation’s economy had begun faltering. Business taxes sometimes exceeded 100 percent; Bildt cut capital gains taxes to 30 percent and corporate taxes to 28 percent. The top marginal tax rate fell from nearly 90 percent to 50 percent. Bildt privatized some state-owned industries, introduced school vouchers, and allowed people to invest a portion of their pension. “The age of collectivism is at an end now,” Bildt said at the time. The short-term pain ushered the Social Democrats back into office. But his successor, Ingvar Carlsson, maintained his market-friendly reforms and a new, entrepreneurial Sweden emerged. Business start-ups rose nearly 25 percent after Bildt’s term in office. Swedish scholar Johan Norberg, a senior fellow at the Cato Institute, described the effect of statist economic policies in his PBS special Sweden: Lessons for America. Likewise Nima Sanandaji, an Iranian immigrant to Sweden, has deconstructed the Nordic model myth in books with titles like Debunking Utopia and Scandinavian Unexceptionalism. The Danish Center for Political Studies (CEPOS) released a 20-page report attempting to convince the United States that Denmark is not socialist just last year. These warnings come out of a charitable desire for the U.S. to avoid their mistakes – but Bildt’s comment carries a broader and more fundamental difference in worldview with Sanders, et. al. Bildt said in his inaugural address, “In our Sweden, society will always mean something more than the state.” The very cultural edifice that the Sanders family upheld as a model for the West smothers genuine artistic and literary expression. Stultifying statism, coupled with adherence to a party line and universal suppression of dissent, destroys rather than nurtures. Genuine society begins with the family, and includes churches, social institutions, and private charities. It protects inalienable human rights, including a robust freedom of expression. And it is built upon the solid rock of our common religious inheritance, apart from which even the strongest empires crumble into sand.